Are you saving your pennies for a rainy day, or just struggling to get by? A recent study revealed that many Canadians are living paycheque to paycheque, and nearly half are only $200 away from not making their monthly bills. A Tax-Free Savings Account from TD can be the perfect solution for your rainy day fund. I was chatting with my mom the other day when the conversation turned to money. She started giving me heck when I confessed that my family still doesn’t have an emergency savings fund. My mom works in finance. 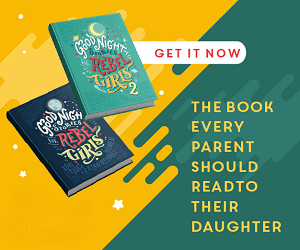 She started rattling on about Tax-Free Savings Accounts and cashable GICs and how important it is to set money aside for all those unexpected “emergency” expenses. While I agreed with her on that last point, and could see why we should have a rainy day fund, my eyes glazed over and my brain froze when she started babbling about TFSAs and GICs. The next day as I was scrolling through my online feed I ran into an article from the Financial Post that cited a new IPOS Reid survey suggesting that Canadians are living paycheque to paycheque, and that nearly half of us are only $200 away from not making our monthly bills. My first thought was, “Wow that’s some depressing statistics.” My almost immediate second thought was, “But it doesn’t apply to me. Whew.” A moment later the third thought hit me, “Wait. Maybe it DOES apply to me.” If my husband lost his job tomorrow, where would we be? These thoughts kept rolling around inside my head; the stats from the Financial Post article, the begrudging admission that my own family fell perilously close to that “$200 away from not making our monthly bills” category, and my mom’s nagging advice that I should have a nest egg stashed away somewhere. I called my mom up and told her that I wanted to start an emergency fund, but I had to admit to her that I didn’t really know what a TFSA was, or how it worked. Here’s what I learned. TFSA stands for Tax-Free Savings Account. It’s a type of registered savings, like an RRSP or an RESP. A TFSA can take the form of a high interest savings account, or it can be money invested into a GIC or mutual funds. The money can be “locked in”, where it is invested and you are unable to access it until the funds come to term. Or it can be a cashable GIC, where you can cash out early in case of emergency, but in return pay a penalty or earn less interest. Or it can be a savings account, where the money is easy to access when needed. The hard part for me was in understanding the differences between an RRSP and a TFSA. Both have contribution limits, meaning you can only put so much money into them per year (and if you don’t put anything in the amount you can contribute rolls over to the next year, so the total amount you can potentially have invested just keeps growing). With an RRSP the amount you can contribute is based on your income. With a TFSA there is a defined amount per year, starting in 2009 the first year they were offered, which is the same for everyone, regardless of income. With a Registered Retirement Savings Plan the money you put in is deducted off your income for the year (i.e. you don’t pay any income taxes on that money come tax time), and then when you later take it out that money is considered taxable income at that time, as is any interest you made off of it. Plus if you take money out prior to retirement there are disadvantages. 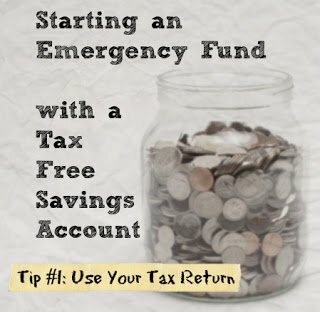 With a Tax-Free Savings Account the money you put in is not a tax deduction, so it won’t make a difference on your tax return; however you also don’t pay any taxes on any income you make, hence the whole Tax-Free part. You don’t pay any taxes when you take money out of a TFSA, and you don’t pay any taxes on the income. Also you can withdraw money from your TFSA at any time, without paying any penalties, or additional government taxes. Another key difference is that when you take money out of a TFSA it adds to the amount you can contribute next year. Whereas when you take money out of an RRSP that contribution amount is gone forever. Basically, a Tax-Free Savings Account is the IDEAL spot for saving up for a big purchase, or for stashing away some emergency funds. TD Bank offers a high interest savings account which you can use within a Tax-Free Savings Account (right now the rate is 0.50%), or another option is their 3-year Security GIC Plus where you can earn up to 8.88% interest. So here’s my plan. I’m going to take this year’s tax return and start a TFSA. For my family I’ve decided that the best option is going to be to deposit to a high interest savings account. I’m going with a savings account over a GIC or mutual fund because I want the money to be easily accessible for small time emergencies, like big unexpected dental bills or car repairs, as well as long-term worst case scenario type stuff. 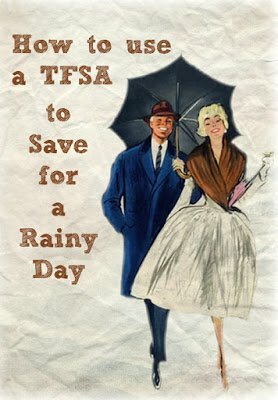 Overall I think that a TFSA is the perfect spot to stash your rainy day fund. You might want to follow in my footsteps and deposit to a high interest savings account, or you may prefer to lock your money into something that is slightly harder to access, but may earn more interest. Your best bet is to talk things over with a financial expert. The Financial Advisors at TD can help you find the right Tax Tax-Free Savings solution for your situation, whether that be a high interest savings accounts, or investing in term deposits or mutual funds. Either way having an emergency fund can provide a cushion, and help in moving out of that scary “$200 away from not making the monthly bills” category. So what do you folks think? 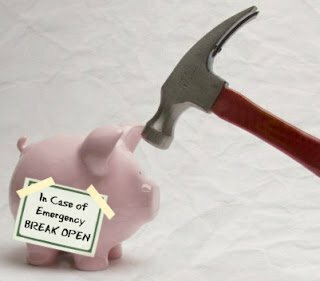 Do you have savings set aside “in case of emergency”? Have you taken advantage of the whole Tax-Free Savings Account thing? TFSA’s are indeed a great way to save and not have to pay taxes on any interest earned. You’d be surprised at how fast the money adds up and what a difference it can make over time. That TD calculator is quite enlightening. Thanks for the information. We have TFSAs and RRSPs. That being said, you aren’t JUST limited to GICs, high interest savings accounts, term deposits etc. You can also do EFTs as well which have typically very low management fees compared to mutual funds. You could also do stocks as well but, it’s not really something I’m into. You really want whatever you’ve got in these to grow. Last year I managed just shy of 20%.